Why Choose Thomas Custom Builders? Whether it’s a family room addition, master suite renovation or a kitchen and bathroom update, you want your home remodeling project to be perfect. So do we. And we won’t quit until it is. At Thomas Custom Builders, the owners are involved in every project. From the initial planning and design through project completion. With 40+ years in the construction industry, we have sound systems in place to help guide you each step of the way. As a full-service general contracting and design firm, our process is turn-key. We guarantee you’ll get the exact results you’re looking for, along with instant equity in your newly renovated home. Ask any one of the thousands of clients we’ve worked with over the years. They come back time and again with remodeling projects, and they give us the highest form of praise possible – referrals to their friends, family and colleagues. Let Thomas Custom Builders help you make your renovating project a reality. Don’t compromise. We don’t. The perfect combination of detail, organization and customer service. When you need work done in Northern Virginia – including home additions or kitchen and bathroom remodels – this is the team you want on the job. Dave Holmes is the project manager and principal foreman. 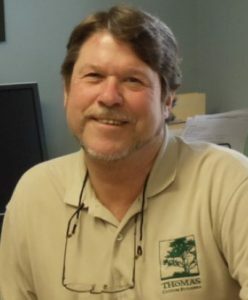 An efficient, organized and determined leader who demands the best from his team, Dave has over 40 years of experience in the building industry. Dave is 100% committed to your project from start to finish. 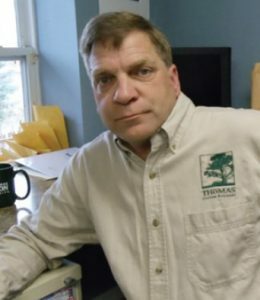 Rick Thomas handles sales and estimating, making him your first point of contact. Having been in the business at the highest levels – including work on Camp David – Rick has seen it all in home remodeling and custom building. With 40 years in the business, his expertise in high level remodeling enables him to recommend the best way to get the most value for your dollar. The Thomas Custom Builders name is synonymous with spectacular workmanship from start to finish. We don’t take shortcuts, and we don’t settle. There’s no compromising with Richard Thomas and Dave Holmes. David Holmes is incredibly demanding of our work crews. There is no room for second rate work. Our own expert is always onsite, every working day of the job, keeping it moving at a steady pace while maintaining the highest quality craftsmanship. We wouldn’t have survived in the home remodeling business without a stable financial foundation. You can be confident that we will be around to stand behind or workmanship far into the future. You don’t have that problem with Thomas Custom Builders. With a single call you can always reach the owner, and we will personally handle any question you might have. We also provide regular updates by email or phone from our team about the status of your job. After all, it’s your home, and you deserve to know what we’re doing with every minute of every day on your job. Most jobs look good when they’re first completed, even if the handyman used inferior materials and techniques. Time is the enemy of poor workmanship. Thomas Custom Builders offers a full two-year warranty on our craftsmanship. That’s simply something sub-standard crews can’t afford to match. We know what it takes to get your job done right the first time, including hiring the right labor and ordering the right materials. We also accurately assess the amount of time each project will take, and we communicate the timeline to everyone on the job. When we start, we stay on the job, according to schedule, until it’s finished. Period. 7. Blend New With Existing Structure – and Make It Look Good! Nobody wants to see the line of demarcation where the new home addition begins. We pride ourselves on seamless design that makes home additions or kitchen and bath updates look natural. 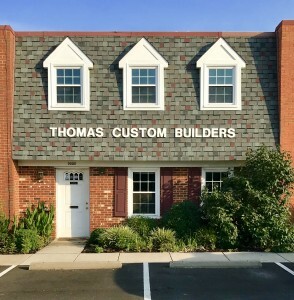 Thomas Custom Builders took my vision and made it so much better, suggesting ideas that I would never have thought of and nixing ideas that were not practical but always explaining why I might want to think of something different. Work was conducted on time and as expected. I would recommend Thomas Custom Builders. The quality of work was excellent. I appreciate the insight the company provided during the time of designing. We always got the impression from the crew that they treated our project as if they were working on their own house and not a corner was cut or a detail was missed. We are thrilled with the end result and have enjoyed our new space more than we could have imagined. The combined creativity of your Architect and your team allowed us to turn our dream into a reality of adding a new space which includes three levels to encompass a new basement, kitchen/family room, and master suite. If you’re contemplating a home improvement project (and ours was fairly major) don’t make any decisions until you talk with Thomas Custom Builders. You’ll be so very glad you did! The result of the effort was and is beyond our wildest expectations.